B eing a parent, while filled with many joyous moments, comes with its fair share of challenges and trials. The emotional ups and downs (yours and theirs), dealing with lost toys/clothes/electronics, the undone chores, the nagging about homework, the tantrums (again yours and theirs), the-forever-in-the-car-carpooling, the sports, the play-dates, the constant cleaning…all can take a toll on a parent’s mental and physical state-of-being. If the child is an infant or toddler, forget about it – you are on the job 24/7. No breaks (sometimes no showers), except for sleep – if you are lucky. All of these daily trials and struggles are exhausting enough for the average parent. 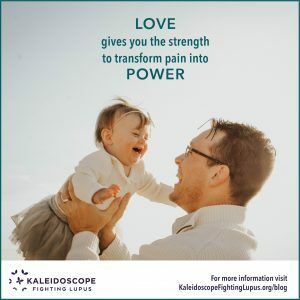 But what if you are a parent living with an unpredictable chronic illness like lupus, rheumatoid arthritis, fibromyalgia or scleroderma? The difficulty level just jumped at least ten-fold, right? Not only is there difficulty with explaining your chronic illness to your child/children, but there is also immense difficulty with explaining your day-to-day struggles with those in your family, mommy circle, co-workers and extended friends. 1. Find balance. 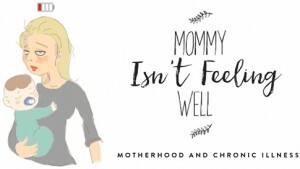 Both parenthood and chronic illness become a huge part of your identity and both can fight for control over your time, energy, and some days, sanity. 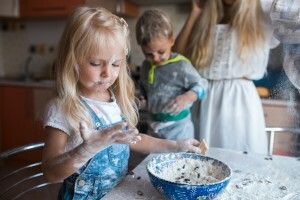 Finding humor in everyday situations (as frustrating as they can sometimes be), understanding and addressing your children’s concerns about your illness, and making sure that you are taking care of your own personal well-being (as well as you care for others) are all crucial to finding that balance. 2. Know your limits. If you are having a bad day (or low on “spoons”), order takeout for dinner, ignore the dust-bunnies, and let the laundry go unwashed, it can all wait. Your health and well-being are more important than a dirty-dish-filled sink. Call in reinforcements if you have them- relatives or neighbors, just know when to ask for help. It is alright to need and ask for assistance. Older siblings are a great resource for this, should you be lucky enough to have one or two around at your disposal, just make sure that they know how much they are appreciated. 3. Don’t dwell on the negative. This is understandably more easily said than done, but understand that you are not your illness. The ability to find gratitude in even the smallest things can change your perceptions on a daily basis. This is a skill that takes practice. Remember, a bad 5 minutes does not equate a bad day. 4. Change your expectations and learn to navigate your “new normal.” This one may be the toughest to accomplish.Your vision of what family life would and should be based on past ideas and hopes might need to be dramatically altered to allow for having an unpredictable illness. This is not to say that you should give up on your hopes and dreams, but continually dwelling on the past, or reliving the thought pattern of wondering what would have my life been like if wasn’t chronically ill? can prevent you from seeing any joy or satisfaction in the present moments that you do have with your family. Even if it is not exactly as you had envisioned, life is a gift. Your children live in the present and need you to be present with them. Allowing yourself to feel this way will take a lot of patience, kindness, and love. You will still have good days and bad ones as you navigate through the right formula of thought patterns that work best for you. 5. Practical tip: limit younger children to one manageable room. If your children are young and need more supervision this can be a daunting task for those on-the-go little ones. Fixing the environment (baby gates, closed doors, etc.) so that all of your small people are in one, easy to manage location within your sight lines, can keep things at least manageable. This is great, especially if laying reclined on the couch or in your bed is the place that you need to be. We found a few great ideas of ways to entertain your kids while lying down in this article. There just may be some gold nuggets of wisdom in there that save your sanity and at the same time, make you feel like your parenting skills are Olympian! 6. Learn to accept the cycle of unpredictability. Chronic diseases are often unpredictable. One day you may wake up and feel like you are on top of the world but the next day it feels as if the world is literally crumbling down on top of you. Thus is the cruel nature of chronic illnesses. “What kind of day will this be?” may be the first thing you think as you awaken. This is an ongoing stressor for those living with these diseases, especially parents. The needs of your children are constant, but your physical well-being may not be. Understanding this, accepting this, helping others around you accept and understand this can go a long way in reducing stress. 7. Join support groups. Reaching out to other people via support groups who are going through similar struggles and even triumphs can provide the emotional support needed to get through the toughest of days and be a great source of encouragement and advice. Finding or starting a local support group in your area could also be a great place to get support and make some great new, understanding friends. 8. Seek help from a mental health provider. Stress is a fact of life for everyone, but if you are suffering with a chronic illness and trying to balance your role as a parent, you may justifiably be under even more pressure. There is no shame in asking for the help and guidance from someone in the mental health field. This can be in the form of a psychologist, counselor, therapist, etc. 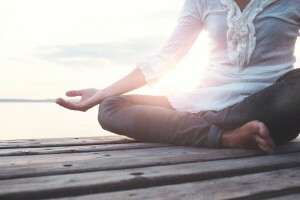 They can assist you by providing tools and strategies that reduce stress and help eliminate other negative behaviors and thoughts, and thus maintain or regain more optimum levels of health. 9. Learn to put your needs first. Putting your needs above those of your children or partner sounds counter-intuitive as a parent, but be assured, it is a necessary step in achieving optimum levels of health, both mentally and physically. You cannot be your best for others if you are not your best for yourself. Find time for relaxation, yoga, meditation, early bedtime (let your spouse/partner do bedtime with the kiddos), gentle exercise, reading, a movie date with a friend, or whatever else brings you joy! 10. Be open to the possibility that there is something positive to be gained from having a chronic disease. It is not a choice to be a parent living with chronic disease. You did not choose to be chronically ill, this was the hand you were dealt. So instead of letting it guilt you into oblivion, allow the fact that you are fighting on with this additional challenge, empower you. YOU ARE STRONG. So get rid of any guilt you may be harboring that you are not the best parent, spouse, or friend. Remind those around you, especially the children in your life, that you love them and that you are there for them. Children don’t need to be zipped around to 20 different activities a day to feel loved. It may not be in the ways that you had originally planned or hoped, but it is no less valuable or meaningful.